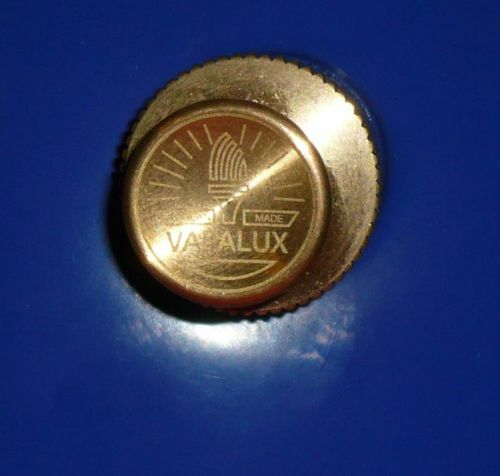 Known throughout the World, the genuine Vapalux lantern is available again in the UK with full spares back up from us. 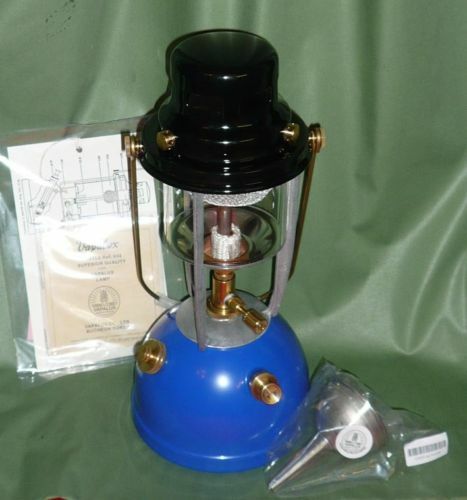 This beautiful lantern has a brass tank finished in Blue with vitreous enamelled hood and aluminum frame. Now you can own one of the best...! 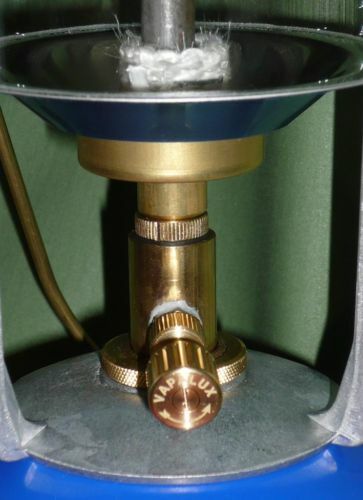 Beautiful detail on the new Vapalux lamps includes brass jet cleaner knob and laser etched logo on the pump knob. The build and manufacturing quality is superb, a real investment to hand down to your grandchildren..! 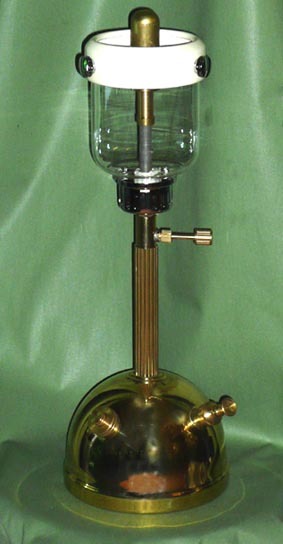 The genuine Vapalux table lantern is available again in the UK. This beautiful lantern has a polished brass tank, plated spirit dish and cream enamel gallery. The deep bowl glass recalls the T10 and T20 table lamps of the 1950's. With full spares back up available from stock this is a lamp to use and enjoy.